Using the virtual Invisalign treatment plan (ClinCheck) you will have the opportunity to see how your teeth will look after treatment. What can Invisalign be used for? The Invisalign treatment is ideal for when the front teeth are crowded, if your jaw does not have enough space and teeth are rotated or embedded? A treatment with Invisalign is also recommended for gaps between the teeth, which occur because of small teeth, moving teeth or missing teeth..
Invisalign can help in the case of a crossbite,where a tooth in the upper jaw touches the inside of a tooth in the lower jaw. The Invisalign treatment can reduce an increased overbite. Invisalign braces are also recommended for an underbite, especially if caused by misaligned teeth..
Feel free to ask about our Invisalign Berlin Consultation, to know if the Invisalign invisible brace is suitable for your individual needs. Since 2009, the Invisalign treatment method is available not only for adults, but also for adolescents (Invisalign Teen) and children. Since 2001 we have been treating patients using almost invisible braces by Invisalign. 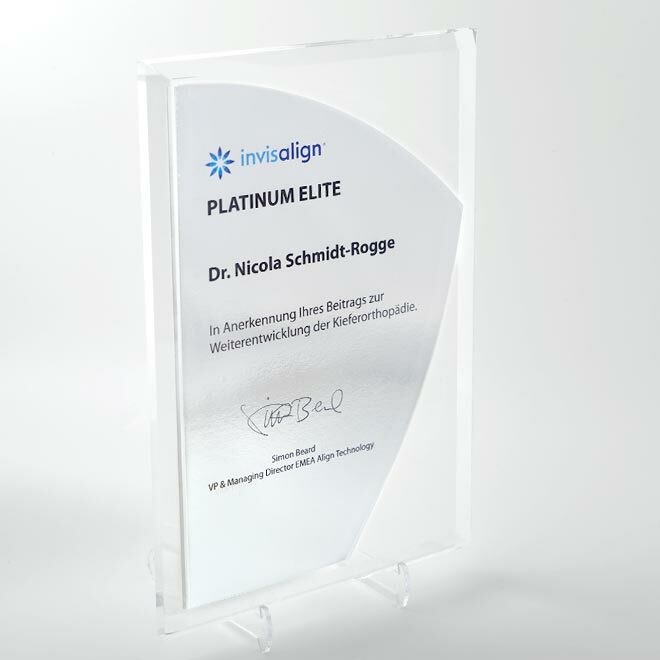 In 2009 we received for the fifth time in a row the Invisalign Platinum Practitioner Status. With over 400 successfully treated patients, we have a rich source of experience from which our patients can benefit daily at our Invisalign Berlin Consultation. The almost invisible braces of the Invisalign method are now available for adolescents and children with Invisalign Teen. Braces by Invisalign Teen offer a truly new option compared to previous braces: they are transparent, unobtrusive and suited to the particular needs of young patients. Invisible braces by Invisalign Teen function in the same way as the Invisalign braces for adults. The teeth are brought to their optimum position little by little with every new transparent plastic brace (Aligner). 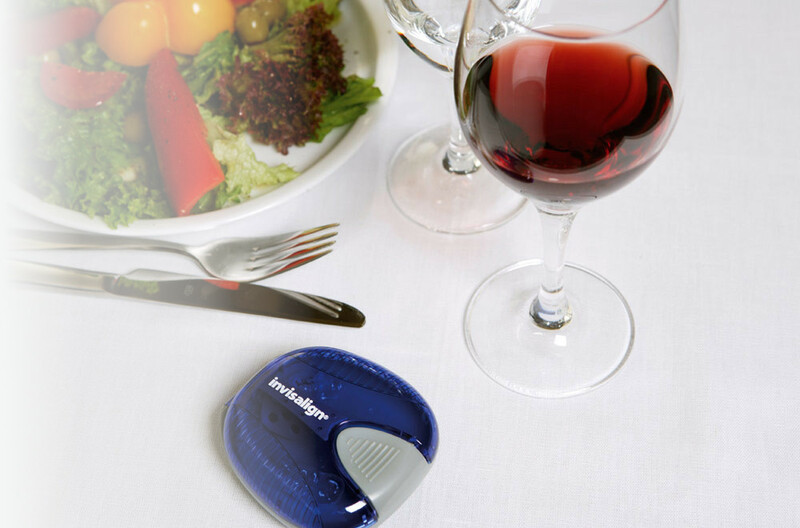 Invisible braces by Invisalign Teen function completely without metal or wire. A small blue indicator shows the optimum length the brace should be worn. The brace has a particular shape which allows the growth of canines and molars. If one of the Invisalign Teen plastic braces is lost, a total of six free replacement Aligners are available. 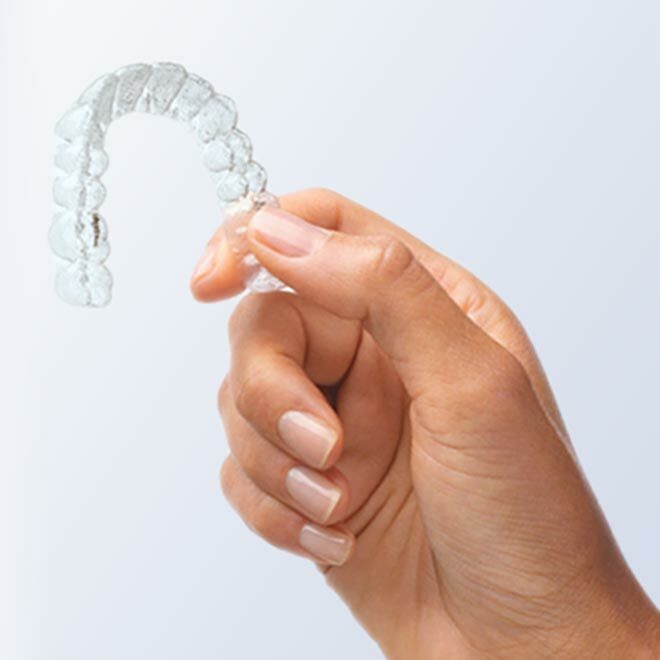 Invisible braces by Invisalign Teen are gentle to wear and transparent. The treatment is therefore barely noticeable. This greatly increases confidence when wearing the brace amongst friends. If you have questions about Invisalign Teen feel free to ask, or book an appointment at our Invisalign Berlin Consultation. With children it is especially important to detect misalignment of the teeth and jaws as well as any malfunctions early, and to target the support necessary for the natural development of teeth. This can sometimes already be necessary with milk teeth. Have you noticed something about the placement of your child's teeth, or has your dentist or the school dentist notified you of maldevelopment? We will be delighted to be of further assistence. Nothing is more lovely than a beautiful smile - and it is never too late to have one. Nowadays, an orthodontic treatment is possible at any age. 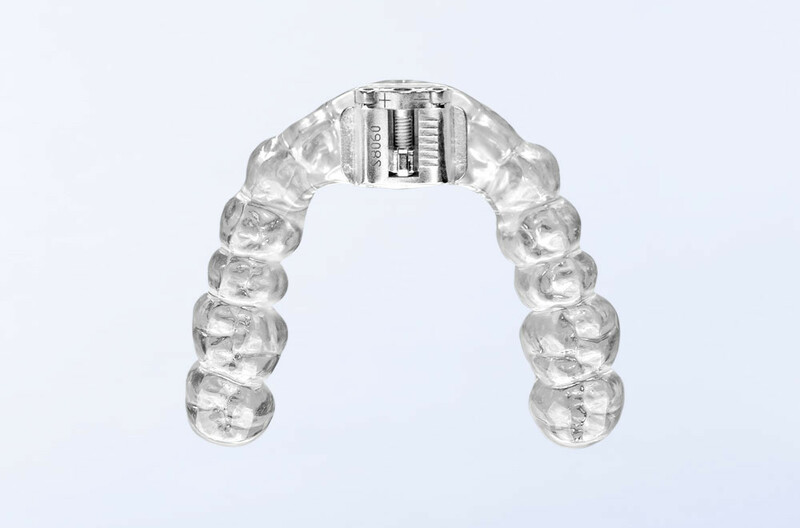 For adults we can offer particular unobtrusive treatment devices like the Invisalign brace or ceramic brackets. The result is not only beautiful straight teeth, for often the correction can improve mastication and the conservation of the mandibular joint. are individually made out of plastic, and are most often used for children and adolescents. The active plate is made of plastic and wire parts. Brackets make sure that the brace holds, springs or screws work on the position of teeth and changes in the jaw. The functional orthodontic braces like Bionator, Activator, Function Regulator lie loosely in the mouth, work on both jaws simultaneously and are most efficient during the growth phase. 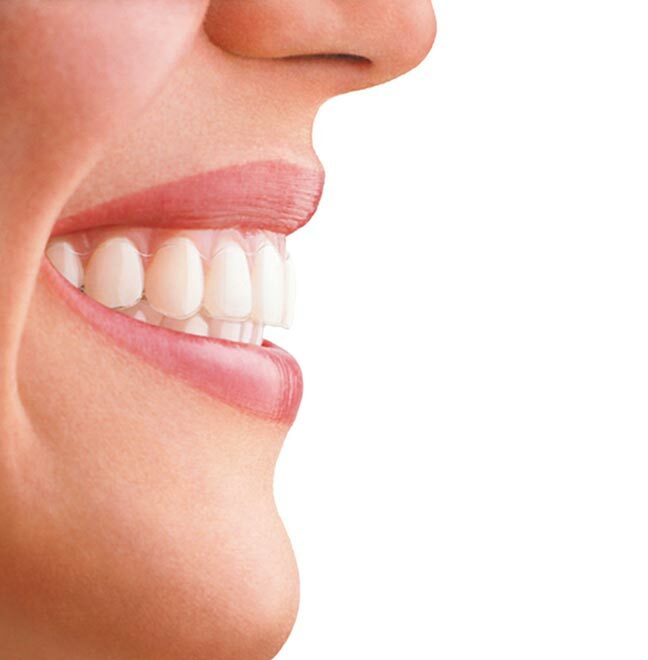 Due to the functional power of the body´s musculature, the position of the teeth and jaw can be gently corrected. Treatment with a fixed brace can be the best solution in certain situations. The most common here is the Multibandapparatur. It is composed of brackets and replaceable bows, which together can cause the most extensive movement of teeth. 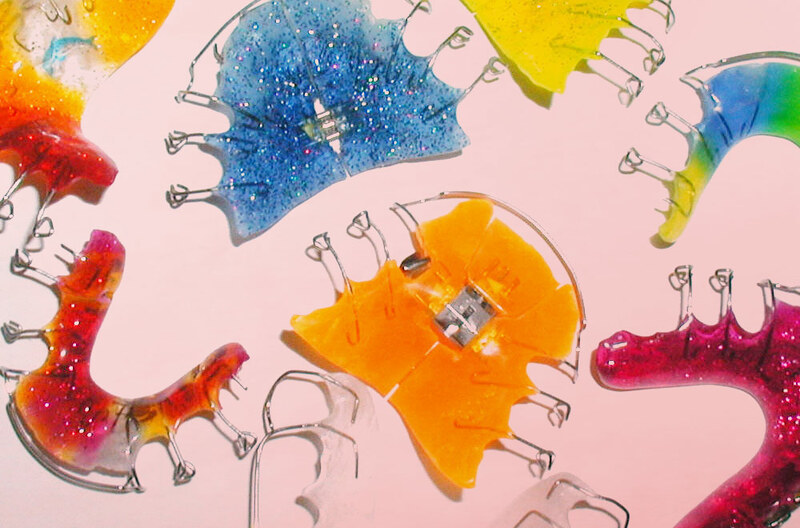 Brackets are available in various different materials. 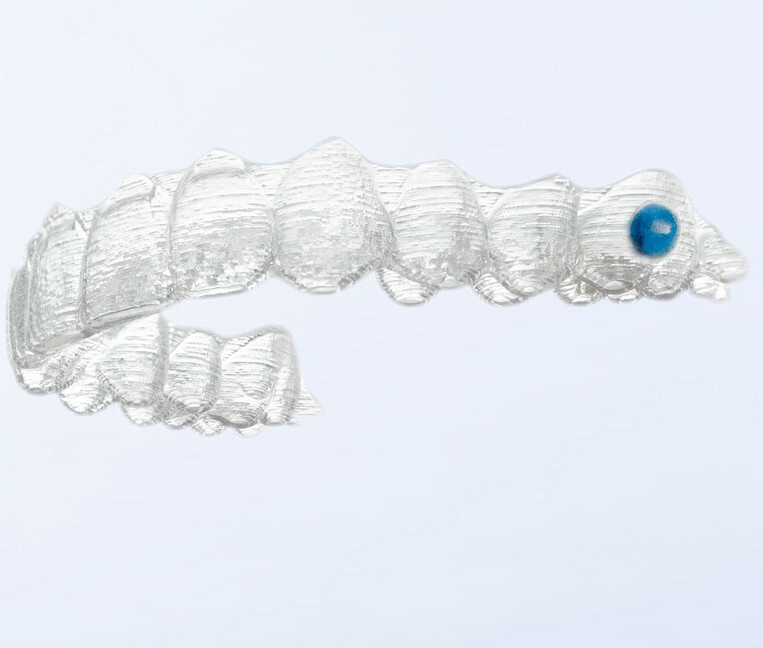 We use the classic stress resistant metal brackets (Victory low profile) nevertheless in a modern reduced size, for better aesthetic and cleaning; or transparent highly precise ceramic brackets (Clarity) for an aesthetic unobtrusive treatment. 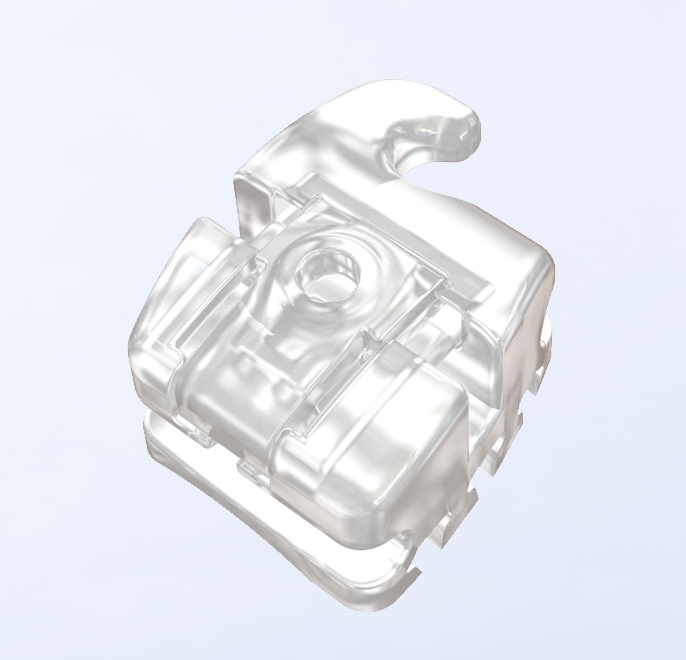 In addition we offer self-ligating brackets (Clarity SL) as a nicer and faster alternative. Before attaching the brace, we polish and seal every tooth. 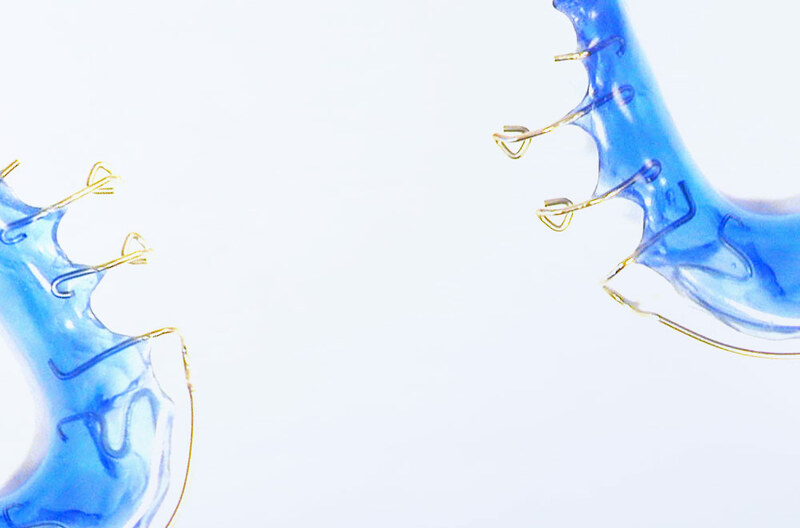 Self-ligating brackets: this newly constructed form allows a regular and gentle transfer of force on the tooth, as the brackets hold wire without any added ligatures. The advantages are a more efficient treatment as well as increased comfort. The mandibular joint assumes a special position functionally, as its final position is determined by the position of the teeth. Through continual Malfunction, pains can result in the joint structure or the surrounding musculature. It may also lead to back or knee pain or the suffering of regular headaches. Individually made bite splints often give relief in this case. Complementary therapies may however also be necessary. Snoring is a wide spread phenomenon. Snoring can be troublesome and loud and is a disturbance to many. For some it is even a disease-causing sleep disorder (sleep apnoea), which may seriously endanger health. Two splints (TAP-splints) can help in this case. They bring the lower jaw to a reliable and controlled position during sleep, and thereby open the rear air passage. Thus you or your partner can get a good nights sleep again. Dr. N. Schmidt-Rogge and both dental technicians are certified TAP-Partners. Small measures - large impact. Small blemishes on the front teeth often disturb the harmony of a smile. A skillful Denticuring [careful sanding according to the tooth's form] immediately eliminates jagged edges and unsightly protrusions on the front teeth. If the teeth are too short or narrow, your dentist may help with plastic or Veneers additions. Small measures - large impact. Normally orthodontic treatments to correct misaligned teeth take a longer period of time. During this time dental hygiene plays an important part, as it is impaired by wearing a brace. Therefore we recommend you or your child to participate in our Prophylaxis program. Our prophylaxis program consists of intructions, fluoridation, sealing of dental surfaces and professional cleaning] in collaboration with your dentist. Professional tooth cleaning goes far beyond usual dental hygiene. All teeth and braces are gently freed of deposits and then polished. Dental plaque does not attach as easily on a smooth surface. Clean teeth from a professional hand. In case braces are worn, a special mouth guard must be made at the orthondists, otherwise the movement of the teeth may be hindered or the brace damaged.